650 trailers. 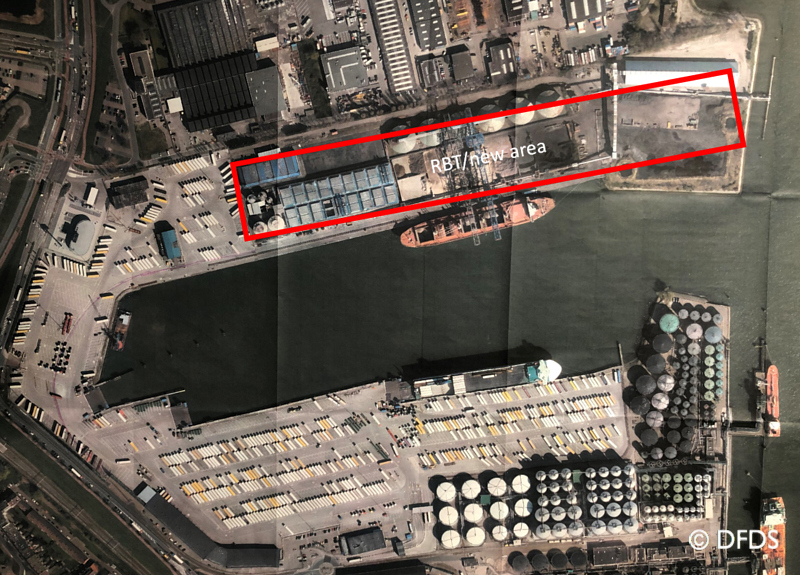 This is the extra number of trailers, which DFDS will be able to accommodate at the Vlaardingen terminal when it adds the recently acquired Rotterdam Bulk Terminal’s 92,000 m2 to the current space. The acquisition has been negotiated since 2016 and became reality on Monday 12 November when SVP Kell Robdrup signed the contract that moves the ownership to DFDS. The work to remove the current structures and buildings have started and the terminal expects to starts using a part of the new area in April 2019. The rest will be taken in use during May 2020. 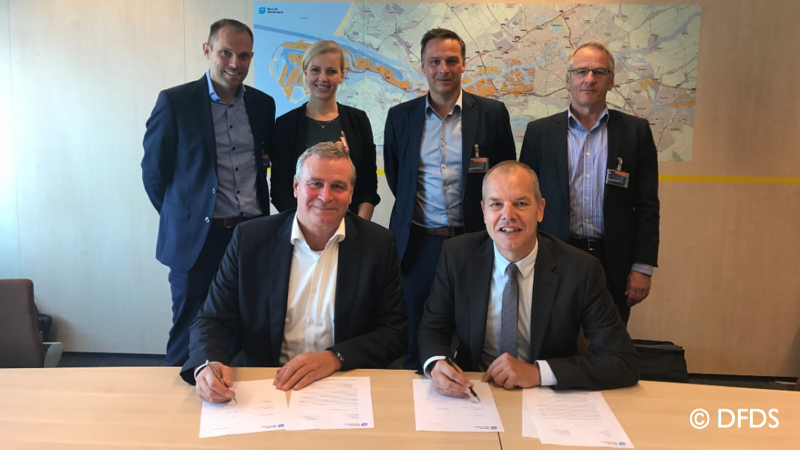 Photo below: Kell Robdrup and Hans Nagtegaal (Director Containers Port of Rotterdam) sign the sale and purchase agreement.